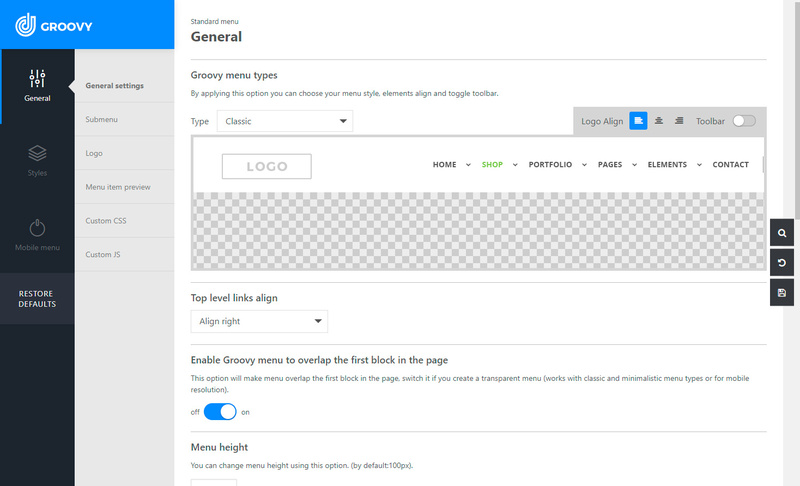 Customizable WP navigation mega menu from Grooni authors Crane theme. You’ll get a kick out of menu as you can set any kind of a menu on website. Easy customizable presets from header library. Add widgets, shortcodes into Mega menu. Mega menu – compatible with popular builders WPBakery (Visual Composer), new Gutenberg, Elementor, Beaver, WPML, WooCommerce, Polylang. Q: How to upload logo? Q: What to do if automatic/manual integration not working properly? Q: Can I insert Groovy Menu as a widget? A: No, we don’t have an implementation as a widget. Q: Can I use it on a non-WordPress site? A: No, Goovy Menu is exclusively for WordPress currently. Q: How to implement anchor links navigation with scroll for one page site? Q: Which Page Builders are compatible with Groovy menu blocks? Q: Is there an extended license for theme developers? A: Yes, you need to purchase an extended licese for that. 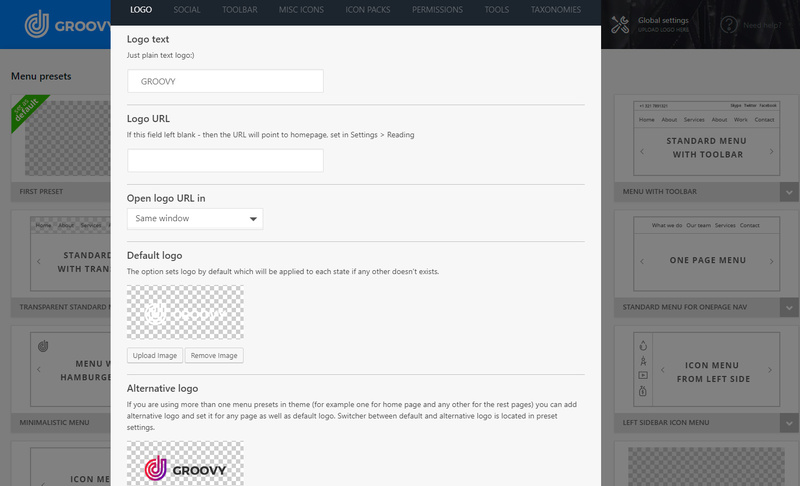 You can send links to your sites where Groovy Mega Menu plugin is used. And you would like to show the result which are you proud of. Have a pre sale questions? - Due to WordPress limitation, only settings from one plugin can be shown, but not both simultaneously at Appearance > Menus. This limitation causes inconvenience when using our plugin in conjunction with other plugins, such as "If menu", "Nav Menu Roles" and some WordPress themes that add custom settings there. - The menu output (markup and all other code) now generated before the formation of the  [HEAD] template. 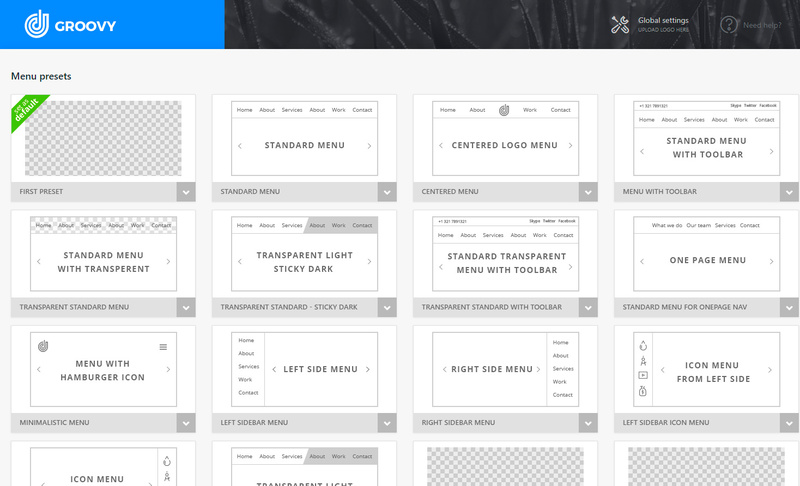 - The implementation of the sticky menu appearance. Now it works more smoothly. - Previously, in the Appearance > Menus for nested elements, we allowed not to display an element, if for navigation labels we set a dash (-) for nested elements. - But now we have the setting Do not show the menu item title and a link that does the same, but with all levels not only nested. Therefore, the hyphen functionality was removed to avoid duplication, and the data was transferred to a new parameter. - Google Font should be called on the head and not on the body. - The behavior of opening dropdown on mobile menu. Before there was no option for top-level dropdown menu items to open a link, only a dropdown was opening. From now on if you set a link for a top-level dropdown menu item it will open a link as expected. Use a caret icon near to the text link to open a dropdown. - If "Do not show menu item title and link" option from Appearance > Menus was set to On the icon for the title was still shown.